Ace Manipur boxer MC Mary Kom who made history by winning a record sixth title at the women’s World Championships is determined to win a gold at the 2020 Olympics. “It has been my dream to win gold at Olympics ever since I started boxing. I have overcome many challenges in my life to become a world champion. 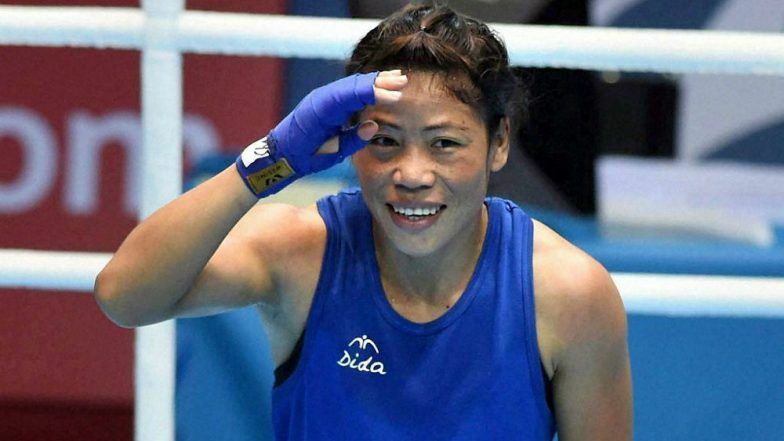 I have already won gold medals at Asian Games, Commonwealth and multiple other medals in other World Championships but now my vision is set at winning the gold medal at Olympics,” Mary Kom told in an interview. There has been speculation that boxing may not feature at the 2020 Tokyo Games since the International Olympic Committee (IOC) is reportedly unhappy with the way the sport is being run by the International Boxing Association (AIBA). Mary however, brushed aside such concerns, reports The Assam Tribune. “For the last two years, we have received immense support from BFI, SAI and the ministry. We have full faith in them and are sure that all the three bodies clubbed with AIBA will make the right decision for boxing,” the Manipuri icon asserted. Mary Kom fought in her original 48kg category after a considerable gap since she was concentrating on the 51kg division, as it is the lowest category at the Olympics.